Bangalore, the capital of Karnataka, is another Indian city that’s undergoing a change back to its traditional name, Bengaluru. In contrast to many south Indian cities, Bangalore is a contemporary, fast growing and prosperous place that’s home to India’s IT industry. Many multinational corporations have set up their Indian head offices there. As a result, the city is full of young professionals and has a vibrant air about it, with a flourishing pub culture. 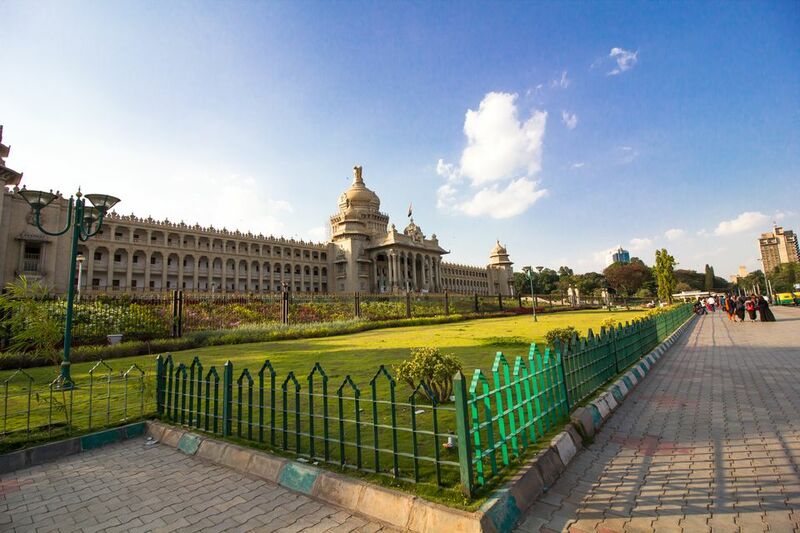 Although Bangalore isn’t regarded as a must-visit destination in India, many people love the city because of its greenery and interesting buildings. Unfortunately, in recent years, some of the city’s appeal has been lost to traffic jams and garbage disposal issues though. Plan your trip to Bangalore with this informative travel guide and city profile. Bangalore was founded in 1537 by a local chieftain, who upon being given the land by a Vijaynagar emperor, built a mud fort and temple there. Over the years, the city has undergone a massive transformation. Its earlier days saw it passed from ruler to ruler, until the British Raj took hold of it and located their south Indian administration there in 1831. The British constructed considerable infrastructure. After India gained independence, Bangalore grew into an important center for education, science, and information technology. UTC (Coordinated Universal Time) +5.5 hours. Bangalore does not have Daylight Saving Time. Read more about India’s time zone. There’s been a huge population growth in Bangalore in recent years. More than 11 million people now live in the city, making it India’s fourth largest city after Mumbai, Delhi, and Kolkata. Due to its elevation, Bangalore is blessed with relatively pleasant climate. Daytime temperatures remain fairly constant, between 26-29 degrees Celsius (79-84 degrees Fahrenheit), for most of the year. The temperature usually only exceeds 30 degrees Celsius (86 degrees Fahrenheit) during the hot summer months from March to May, when it can reach around 34 degrees Celsius (93 degrees Fahrenheit). Winters in Bangalore are warm and sunny, although the temperature does drop at night to around 15 degrees Celsius (59 degrees Fahrenheit). Winter mornings can also be foggy. September and October experience the most monsoon season rain. Bangalore has a brand new international airport that opened in May 2008. However, it’s located 40 kilometers (25 miles) away from the city center. The travel time to the airport is between one and two hours, depending on traffic. Read more about Bangalore airport and the best hotels hear Bangalore airport for all budgets. The new Bangalore Metro train, Uber and Ola Cabs have revolutionized transport in the city. Previously, getting around the city could be challenging, as taxis are only available by prior booking and auto rickshaws are notorious for trying to cheat tourists. Auto rickshaws can now be booked using the Ola app. However, they can be unreliable and don’t always turn up. The other alternative is to take a bus, and this can be a cheap and easy way of going on a mini tour of the city. Board a bus near the start of the route at Majestic or Shivaji Nagar, and you’ll get a great insight into life in Bangalore. The government-operated Bangaluru Darshini bus service is another option for those who are interested in sightseeing. It has two different routes, and costs 400 per person for adults and 300 rupees for children. Bangalore’s Central Business District is situated around M.G. Road, which extends east from Cubbon Park and the imposing neo-Dravidian-style Vidhana Soudha (seat of the Karnataka government). It includes UB City, the city’s biggest luxury commercial development project that’s become a hot place to shop, dine, and party. Koramangala and Indiranagar are other hip and stylish neighborhoods that are renowned for their nightlife, restaurants, and pubs. Malleswaram, in northwest Bangalore, dates back to the 1890s and is one of the city’s most historic neighborhoods. It’s a great place to explore on foot, as it has well-maintained sidewalks (a rarity in India!). Bangalore’s main IT hub is located in Whitefield, about 20 kilometers (18.6 miles) east of the city center. However, this rapidly evolving neighborhood has also become an upmarket residential district with gated communities, spacious villas and luxury apartments. The city’s parks and gardens are a big attraction. Bangalore also has some insightful walking tours for those interested in history and heritage. If you love beer, you’ll love visiting the many brew pubs and sampling craft beers. (The Biere Club near UB City is Bangalore’s first microbrewery). 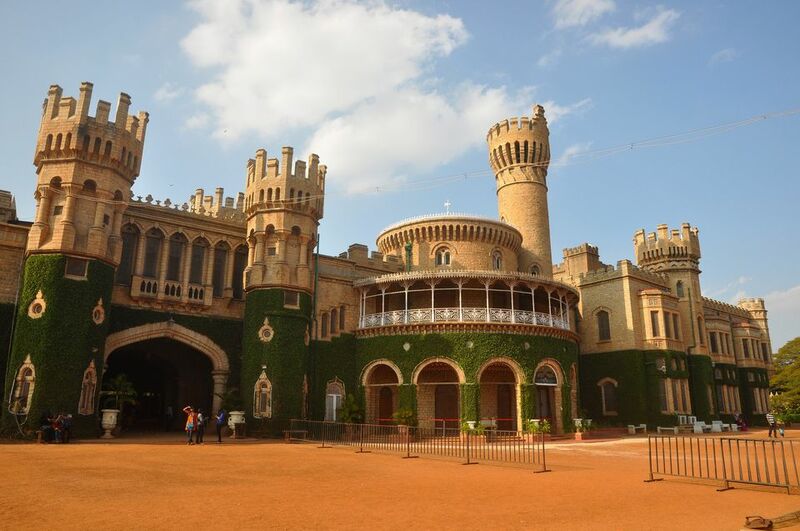 Built in 1887 by Chamaraja Wodeyar, Bangalore Palace is inspired by England’s Windsor Castle. This evocative palace has Tudor-style architecture, with fortified towers, arches, green lawns, and elegant woodcarvings in its interiors. The royal family still lives there. On display is all kinds of memorabilia, family photos, and portraits. The palace is open from 10 a.m. until 5.30 p.m. The entry fee is 230 rupees for Indians and 460 rupees for foreigners. There’s a 675 rupee camera fee as well, if you want to take photos. If you’re an art lover, don’t miss visiting the National Gallery of Modern Art on Palace Road. This gallery, which opened in 2009, is the third such one in India (the others are in Delhi and Mumbai). It’s housed in a Colonial mansion with a garden setting, and has two interconnected wings. The old wing features works from the early 18th century up until India’s Independence, while the new one displays works from a large number of modern and contemporary artists. There’s a cafe on the premises as well. The gallery is open daily except Monday, from 10 a.m until 5 p.m. The entry fee for Indians is 20 rupees and 500 rupees for foreigners. (Note: unfortunately this fee was recently substantially increased and many foreigners feel that 500 rupees is way too much to pay). Photography is not allowed. This vivid, traditional local market is an assault on the senses and a treat for photographers. 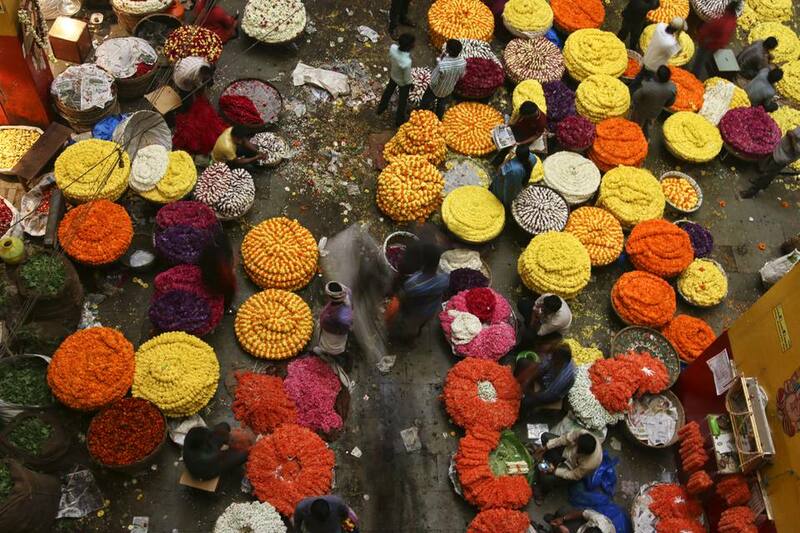 In the middle of it is Bangalore’s bustling flower market. Go there in the early morning to best experience the colors and crowds, when piles of fresh stock are being unloaded and sold. The market also sells a variety of fresh produce, spices, and copper items. This expansive garden started out as a private Mughal-style garden for the city’s royal rulers. 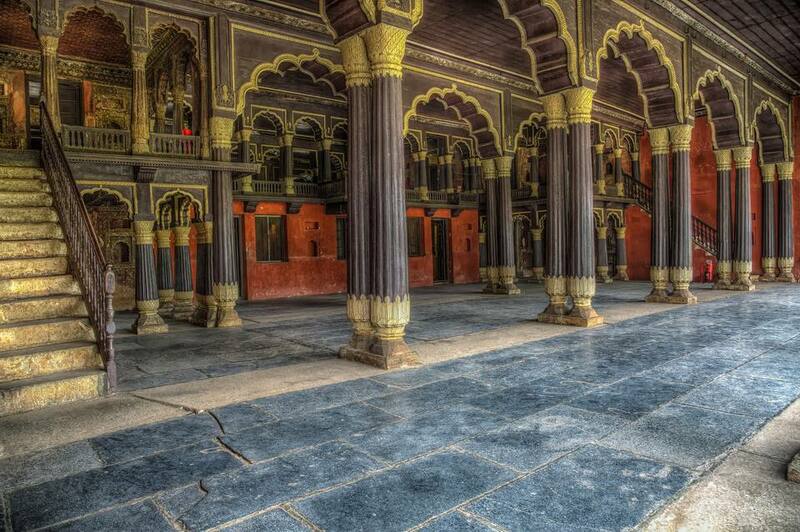 It was established in 1760 by Hyder Ali, and later extended by his son Tipu Sultan. It now covers 240 acres, and derives its name from the red roses that bloom throughout the year there. The garden is said to have the most diverse species of plants in the world. Its focal point is a majestic glasshouse, built in 1889 to commemorate the visit of the Prince of Wales. It was designed along the lines of the Crystal Palace in London. The garden is open from 6.00 a.m. to 7.00 p.m. throughout the year. It takes on a festive look during India’s Independence Day and Republic Day celebrations, with a captivating show of over 200 varieties of flowers. The show also features an exhibition of hybrid vegetables. 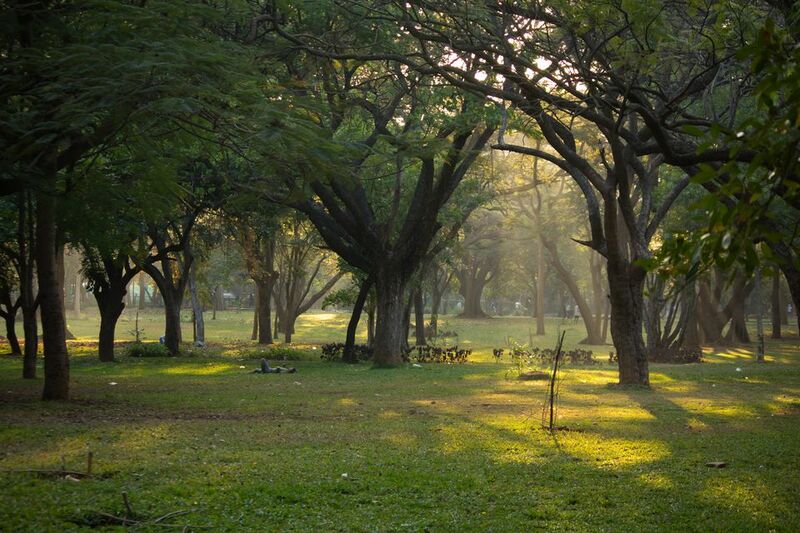 Occupying a 300 acre area in Bangalore’s business district, Cubbon Park is a popular place for walkers, joggers, nature lovers, and anyone who just wants to laze around. The park was named after the erstwhile Commissioner of Bangalore, Sir Mark Cubbon. Many ornamental and flowering trees, both exotic and indigenous, can be found there. Kids will enjoy the special Bal Bhavan play area and aquarium inside the park. Built in 1954, Vidana Soudha is a landmark of Bangalore, next to Cubbon Park. This enormous building is a massive example of neo-Dravidian architecture, with four domes on its four corners. It houses the Legislative Chamber of Karnataka Government, as well as accommodates many government departments. Unfortunately, it’s not open to the public but is stunningly illuminated at night. This eye-catching red, two-storied building, built in 1867 under the reign of Tipu Sultan, has magnificent neoclassical architecture. 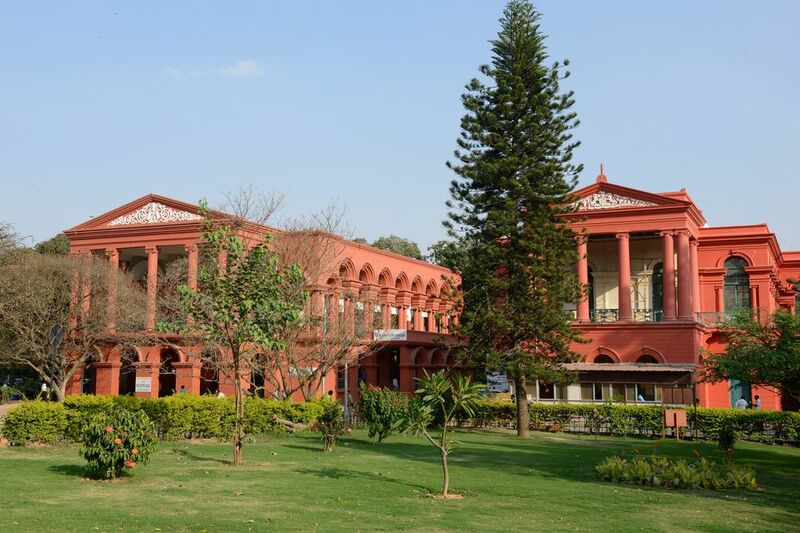 It houses the High Court and many lower courts, and sits opposite Vidana Soudha at the entrance to Cubbon Park. Close to the Court is the red, Gothic-style State Central Library building, with imposing stone and fluted pillars. Nearby, the highlight at the Government Museum is a collection of artifacts and stone carvings dating back to the 12-century, and excavated from places including Hampi. 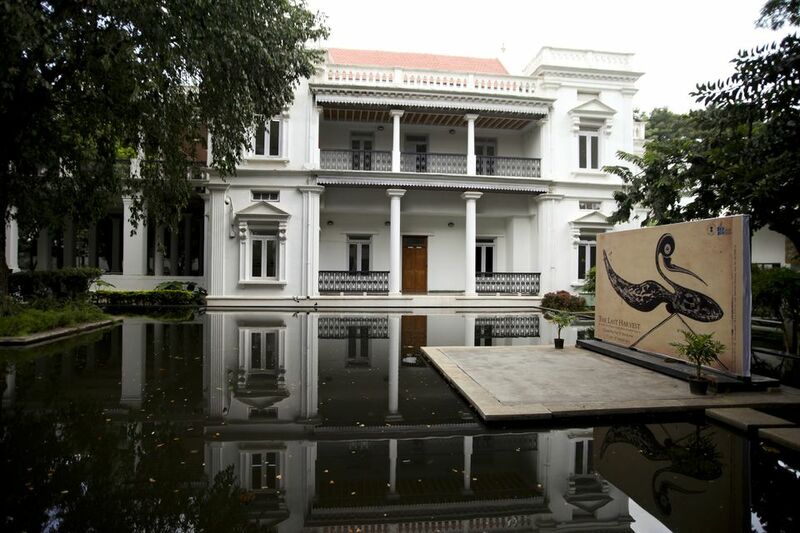 Adjacent to the Museum is Venkatappa Art Gallery, devoted to displaying famous paintings, plaster of Paris works and wooden sculptures of renowned artist Venkatappa (who painted for the royal family). Tickets for the museum also provide entry to the art gallery. 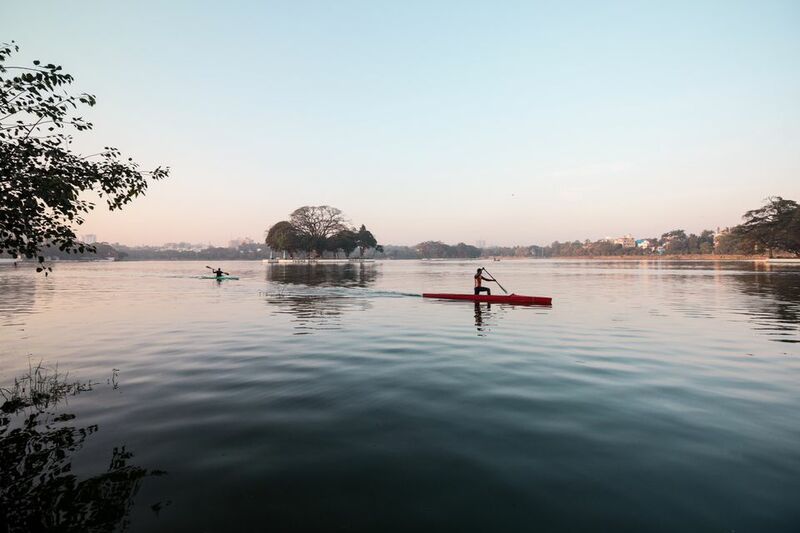 Picturesque Ulsoor Lake is spread over an area of 125 acres in the heart of the city, north of M.G. Road. It was constructed by Kempegowda II. 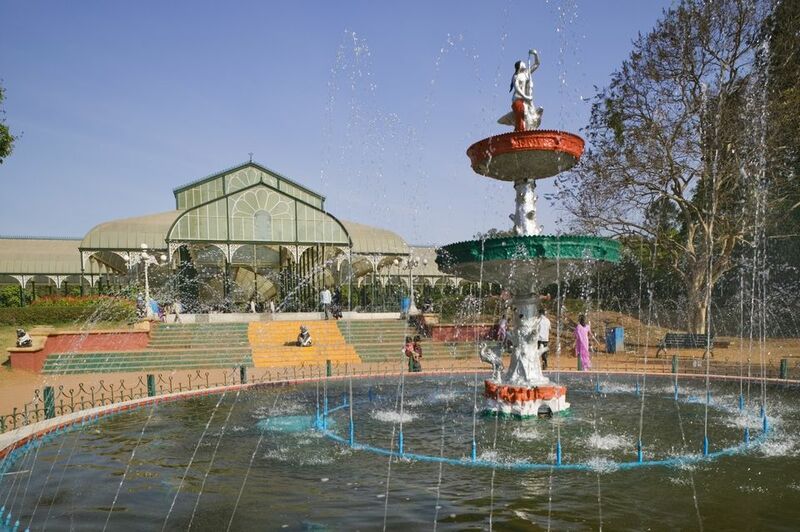 It’s open daily except Wednesdays, from 6 a.m. until 8 p.m. Boating facilities are provided by the Karnataka State Tourism Development Corporation. There’s also a walking track around the lake. 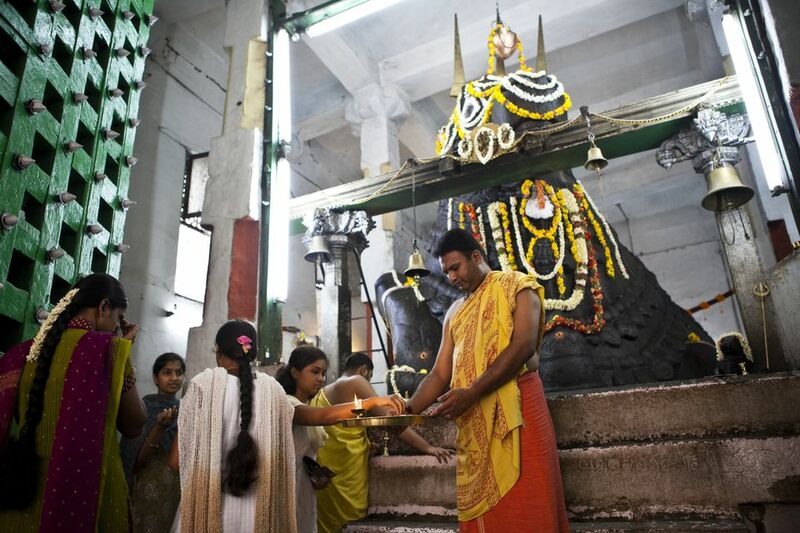 Bangalore is the home of many of India’s spiritual gurus, and the city has a rich religious culture. There are many diverse places of worship, including ashrams, mosques, and churches. Here’s the pick of them. Luxury travelers will be pleased to know Bangalore has some fabulous five-star hotels, ranging from colonial to chic, and they’re among India’s finest. Some of them are located in areas handy for sightseeing. Purple Lotus is a modern boutique hotel in the heart of the action. Electric Cats is a cool place to stay for backpackers and budget travelers.Foodies won’t be disappointed either. Bangalore is a relatively safe Indian city and organized crime is almost non-existent. The city is also quite liberal in its attitude compared to many Indian cities, resulting in better treatment of women and less staring. However, be careful of pickpockets in tourist areas. You may also be approached by men to pose for selfies, which you can refuse if you don’t feel comfortable. The usual tourist scams also operate in Bangalore, but again, to a lesser extent than in many other Indian cities. Overall, Bangalore is a friendly city to visit. As always in India, it’s important not to drink the water in Bangalore. Instead buy readily available and inexpensive bottled water to stay healthy. In addition, it’s a good idea to visit your doctor or travel clinic well in advance of your departure date to ensure that you receive all the necessary immunizations and medications, especially in relation to illnesses such as malaria and hepatitis.